Bee populations are collapsing, and numerous studies have implicated neonicotinoid pesticides. But critics say those studies dose the bees with more pesticides than they would experience in the wild. Two multi-year field studies, published today in Science, show that real-world doses can harm bees under many conditions, which could settle much of the debate raging around the insecticide. "These bees aren't being force-fed, they're just doing what they would normally do," says Jeremy Kerr, who studies bees at the University of Ottawa. Why it matters: Bees don't just make honey: they're an integral part of the world's agricultural system. In the U.S., they are shipped across the country to pollinate crops, and wild bees help plants reproduce across the globe. 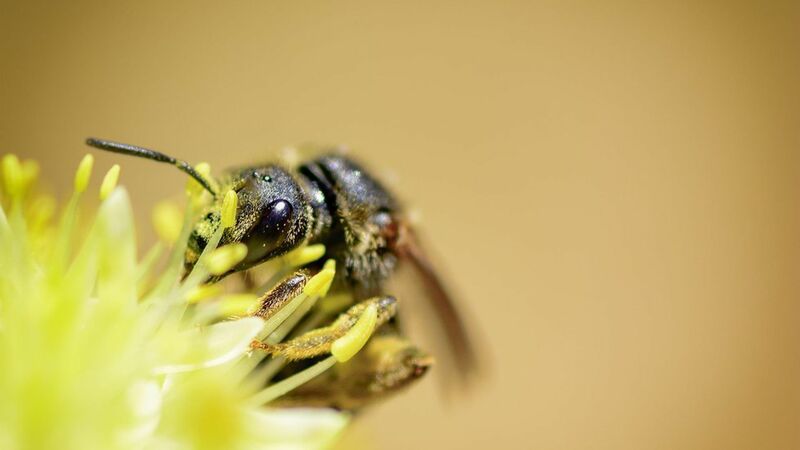 If bee populations crash, the economic and environmental consequences could be severe. The pesticide: Neonicotinoids have been in use since the 1990s. They can be sprayed on a plant, but they're generally coated on seeds and then taken up by the plant and expressed in their leaves. The pesticides were thought to be environmentally friendly because they're only supposed to harm insects that bite the now-poisonous plants. Unfortunately, the pesticide can also be expressed in the plant's pollen, which is how bees are exposed. Scientists looked at three kinds of bees in three European countries and found neonicotinoids harmed honeybees in two of three countries studied, and wild bees in all three. (In Hungary, the honey bees colonies shrunk by an average of 24%.) This could be due to differences in soil quality (dusty soil spreads the pesticide), the availability of other plants/food sources, or something else. In Canada, scientists found that bees near corn farms were exposed to the pesticides year round, regardless of when the pesticide was applied. They also report the impact of the neonicotinoids was worse if a fungicide was also used and that worker bees fed the pesticide were less hygenic and shorter-lived. It's a red herring, says Kerr, to think that only neonicotinoids are to blame for bee hive collapse. Modern farming techniques, habitat loss, parasitic varroa mites and climate change could all play a role. Still, notes Kerr, "I don't think there's any doubt that neonicotinoids can't be viewed as harmless. They can clearly cause harm to bees." These studies show that a nuanced discussion is needed before the insecticides are banned because in certain conditions, they don't seem to be safe. There is also concern that if farmers can no longer use neonicotinoids, they'll switch to a less-understood pesticide that could be more damaging.